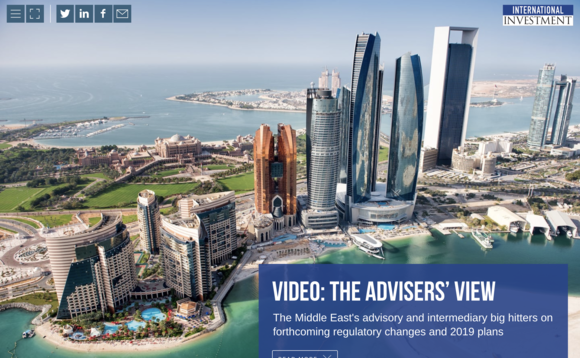 In this series of exclusive video interviews, we speak to four of the Middle East's advisory and intermediary biggest hitters on forthcoming regulatory changes and 2019 plans. Click here to view this item taken from out latest Special Report on the Middle East. The videos have exclusive insights from Nigel Green, CEO & founder of deVere Group, Ashok Sardana, managing director & founder of Continental Group, Con Lillis, managing director & co-founder, Abacus Financial Consultants and Holborn Assets, CEO & founder, Bob Parker, all of whom are based within Dubai but service clients from across this vast region.